Living with fear is such a waste of precious vibrant energy. FACT! Have you ever stopped to take note at how controlling and debilitating fear is? So, why do you allow your mind to hang onto it? For it surely doesn’t flow from your heart! When you allow fear in, ask yourself then, what is missing? Is it lack of faith, lack of vision, lack of knowing and believing, lack of trusting, lack of accepting and understanding that everything in your life comes to you in the exact right moment and that is all about Divine timing! For everything you do want is indeed waiting for you on the other side of the wall or the block of that ego based emotion known as fear. 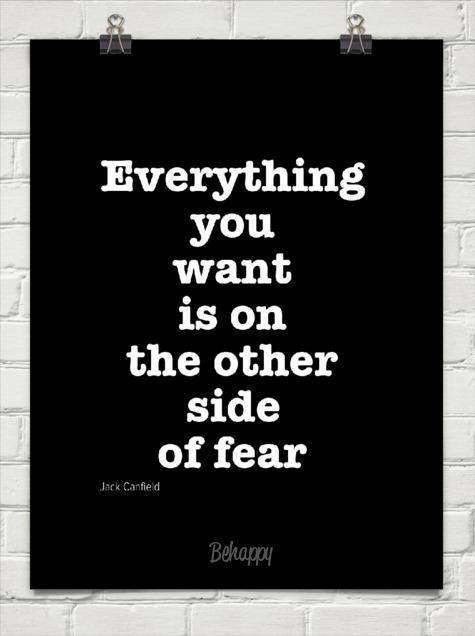 Fear also brings worry and the more you have of both, the more you attract. Why would you want and choose to give yourself these not so precious gifts? For they both do more harm than good! So how about you let your unconscious mind, your higher self take control of your mind and get rid of the fear and worry and restore peace and calm back into your being! < Previous Spiritual enlightenment – are you there yet? Next > Talking and listening a cycle! That’s correct Therese as the opposite of Love is Fear. God has chosen only Love in his realm. Indeed he has Terry, for God is love. Thanks so much for your comment!